Home Page for Typewriters Etc. Typewriters Etc. 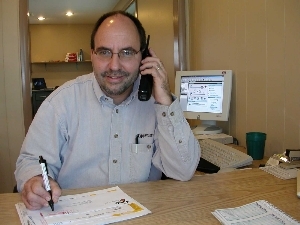 has been selling and servicing office equipment in the Lehigh Valley since 1983. We started out as an authorized Olivetti dealership, specializing in typewriter and calculator repairs. Times changed and in 1995 new management came on board and so did expansion. Today we sell and service typewriters, fax machines and shredders. We are proud of our ability to be your one stop repair solution for your entire office. Currently we are based in Hellertown, PA and provide service to a much larger area than just the Lehigh Valley. Our technicians are factory-trained and certified for everything we sell. So when you need help, we are only a phone call away. We look forward to working with you, whatever your needs, big or small. Remember a smooth running office increases efficiency and alleviates employee frustration.